Blueberry foods development chef, James, had his own epiphany while watching an episode of Jamie Oliver’s ‘Naked Chef.’ As he looked down at his burnt beans on toast served up by a family member (to remain nameless) and then up at Jamie’s Sea Bass and Pancetta, he realised he had to do something. So he hot-footed it off to Loughborough University to learn how to plate good food for himself, which quickly took him on a path to professionally dropping delicious puddings on dinner tables throughout the UK. 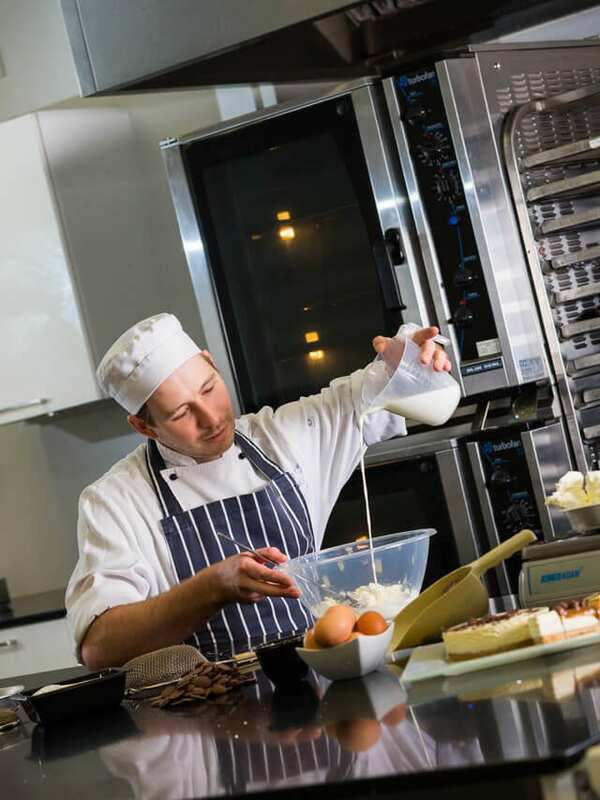 It was while working at the prestigious Priest House Hotel in Derbyshire that James realised his true passion for food: “I was keen on the development of new dishes and not just the buzz of service,” he says. “I have now been at Blueberry Foods for nearly three years and have loved every minute.